Prime Minister Justin Trudeau faced a combative crowd in Kamloops, B.C. Wednesday night at a public town hall meeting dominated by questions about reconciliation with Indigenous communities and the future of several pipeline projects. 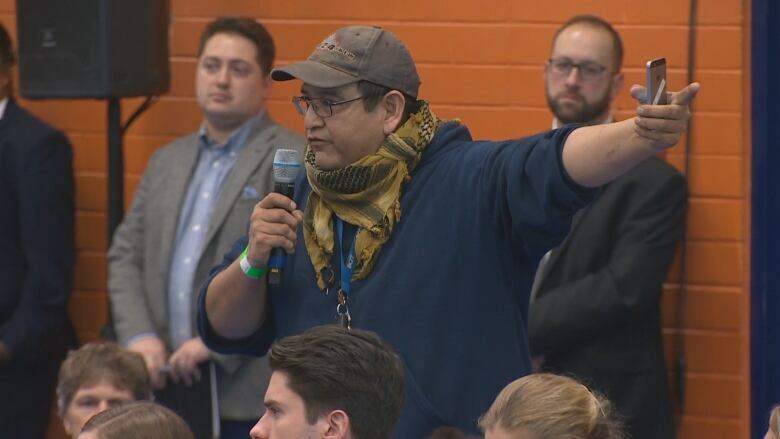 The meeting, staged in a packed university gymnasium, came amid a tense standoff between RCMP and First Nations in northern B.C., which has sparked protests across Canada. Since Monday the Mounties have been enforcing a court injunction granting workers with the Coastal GasLink natural gas pipeline project access to a road and bridge from which they had been blocked by opponents of the project. 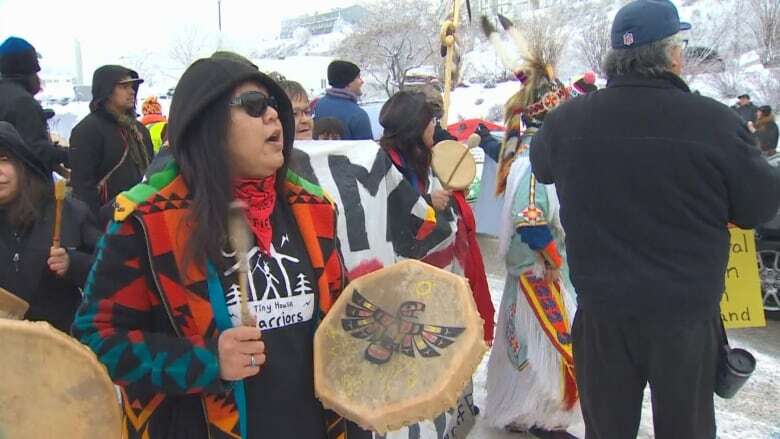 On Monday, the RCMP entered the first of two blockades and arrested 14 people. Hours before Trudeau’s townhall meeting, Wet’suwet’en hereditary chiefs and RCMP reached a tentative agreement allowing workers access to the pipeline. “You can stand up all the elected chiefs that you want and say that you have consent, but you do not have consent from the people on the ground, and you said yourself that these major projects would not be approved without community consent,” Jack said. Trudeau responded by saying there are a broad range of Indigenous perspectives regarding the project. “We are going to have to work together,” he said amid heckles from the crowd. Trudeau addressed the issue again in a later question, saying the process of reconciliation should not be rushed. “We’ve gone from a place where Indigenous people were not listened to, were not consulted, were not included, and we are doing a better job of it,” he said. The meeting, attended by over 1,000 people, is part of Trudeau’s annual tour of town halls around the country during January, which he describes as an important exercise in democracy. Trudeau came face-to-face with demonstrators even before the packed event. Earlier on Wednesday he was met by more than 100 anti- and pro-pipeline demonstrators as he arrived at a Liberal party fundraising luncheon. One of the most contested topics in Kamloops remains the Trans Mountain pipeline expansion, with some adamantly supporting the pipeline because of the jobs it could create, and others opposing it for environmental reasons. Trudeau’s next scheduled town hall meeting is in Regina, Sask.